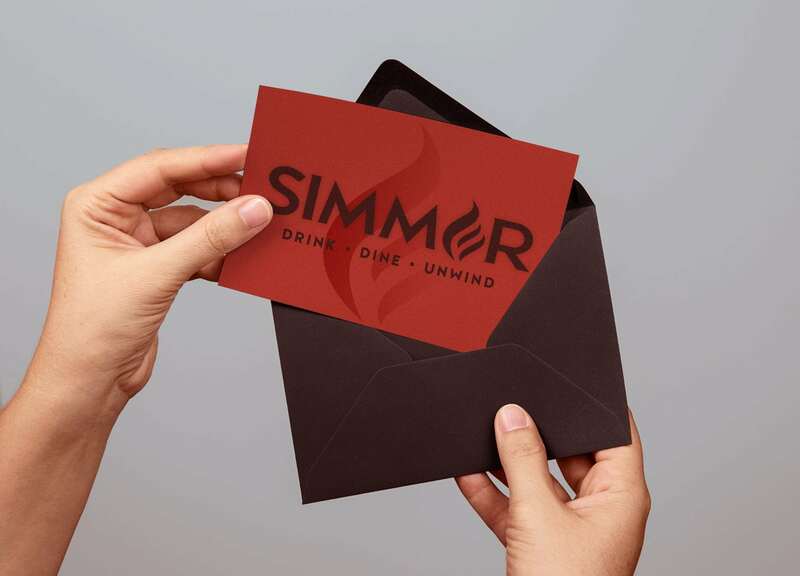 Simmer is one of three sister restaurants in Fort Collins. 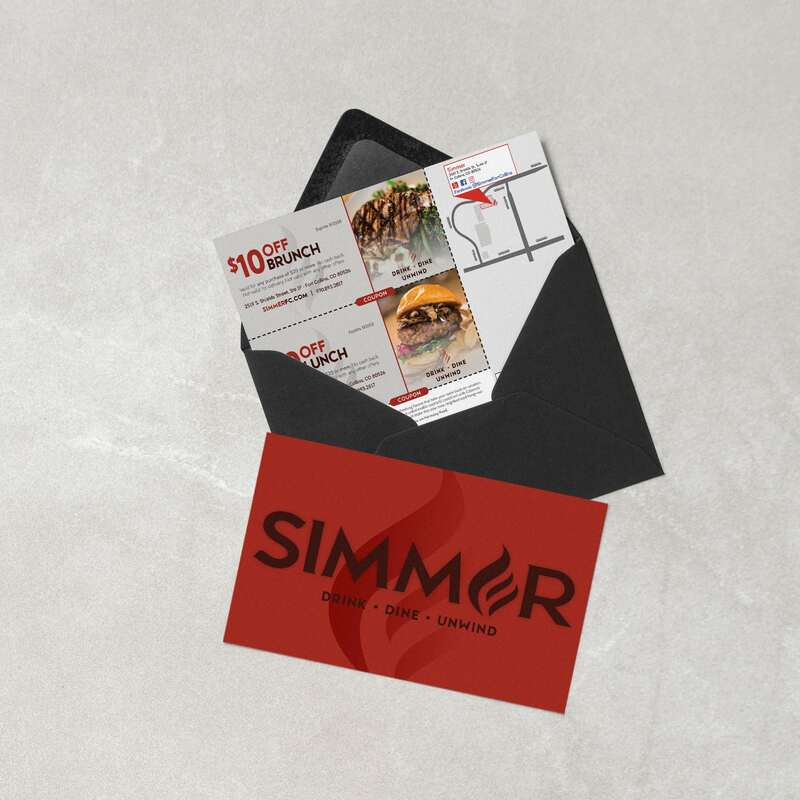 Along with Mac’d Up and Cabana, Simmer was a Tenth Muse project from start to finish. 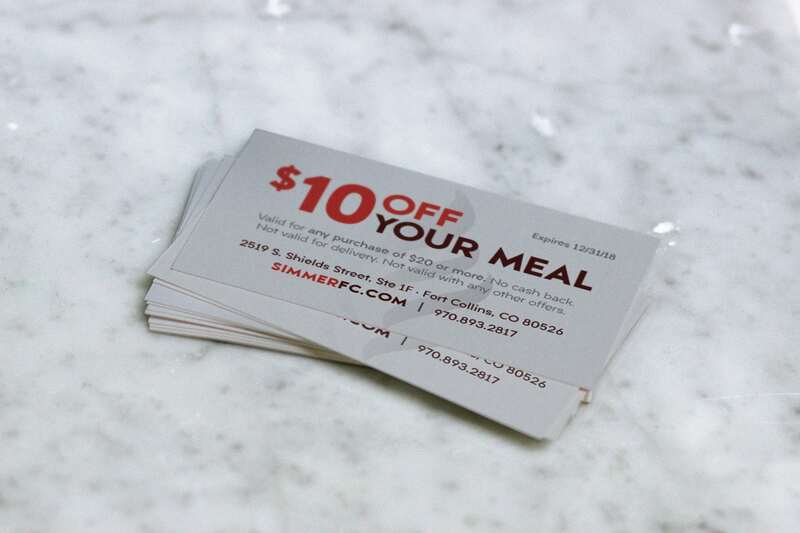 Following our client’s strong vision we were able to create a complete brand identity, dozens of print materials and a website that could adapt to the three different restaurants. 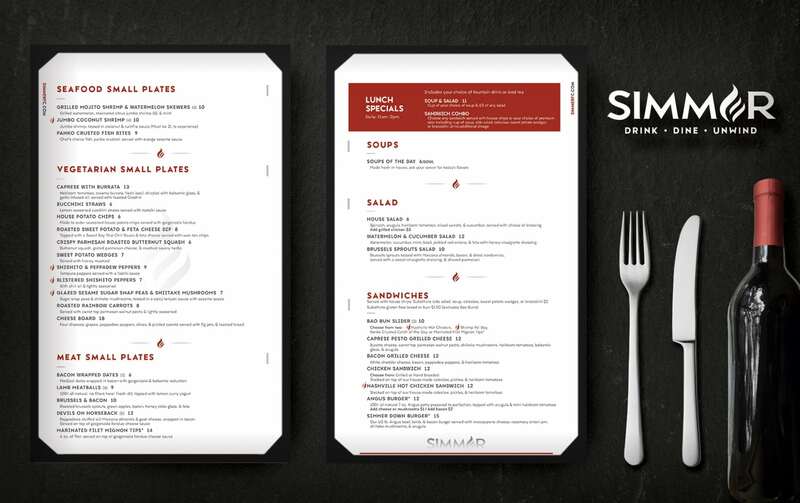 We developed a custom menu editor so the store manager could change the online menu as often as they refined it in the kitchen. 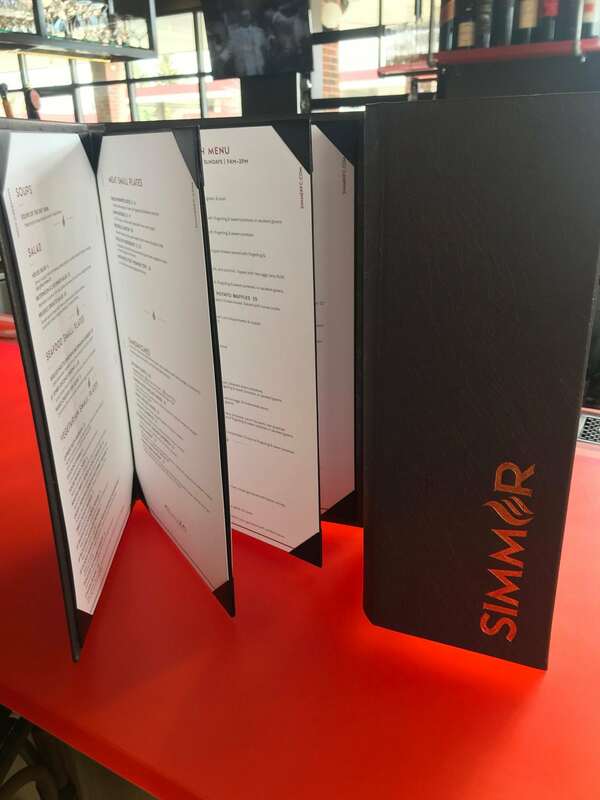 This gives them more flexibility to change their menu seasonally. 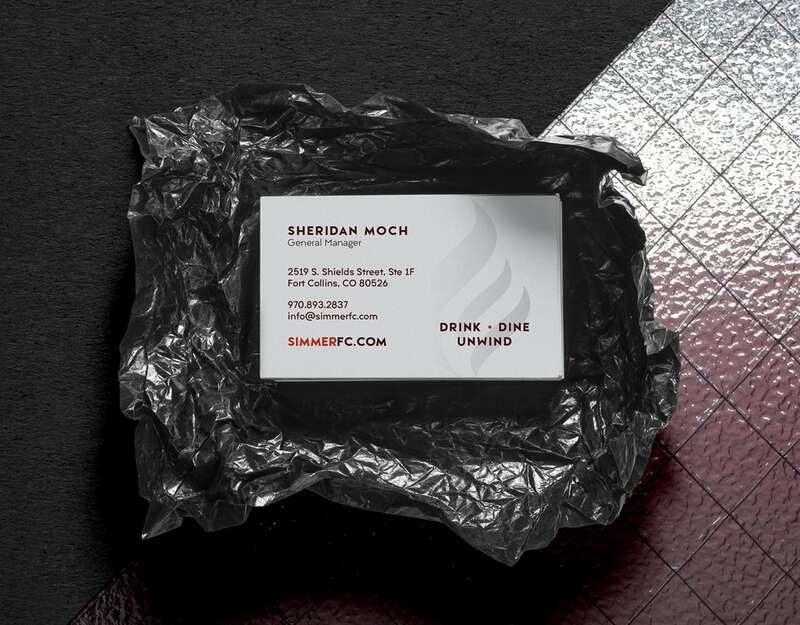 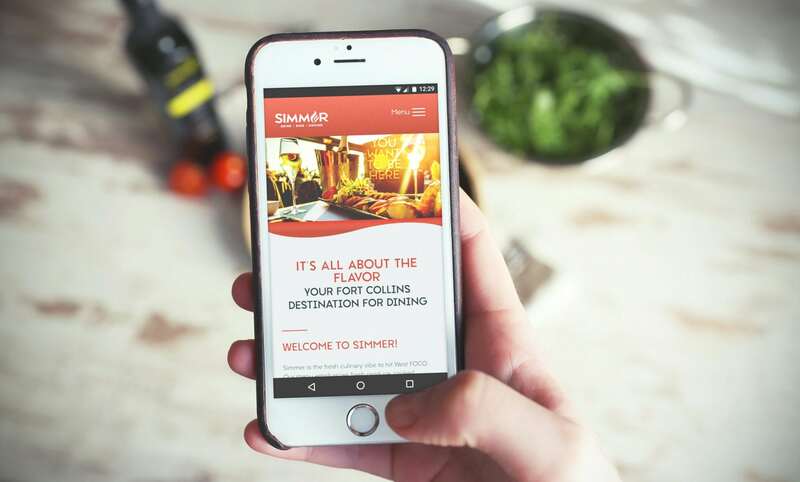 Mobile searches dominate the restaurant traffic, so Simmer’s website was designed mobile-first and developed with responsive loading images to keep the website lightweight and fast. 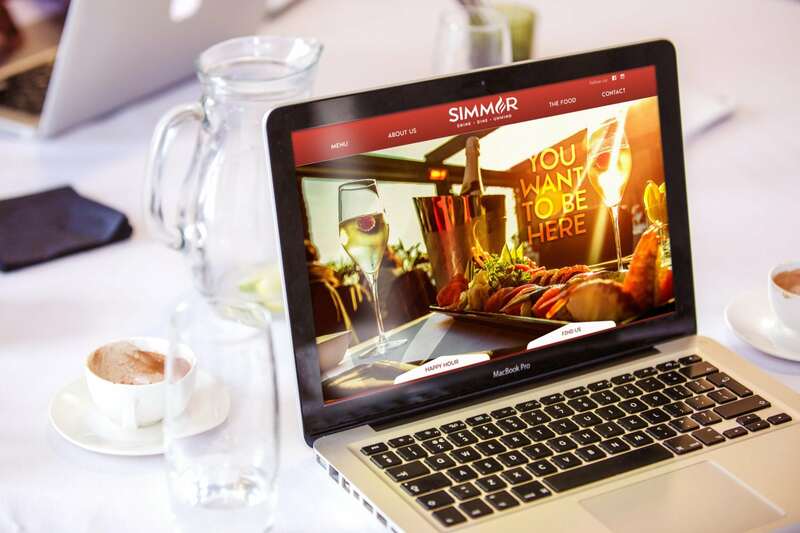 Simmer is a gorgeous restaurant that deserves a gorgeous brand and website. 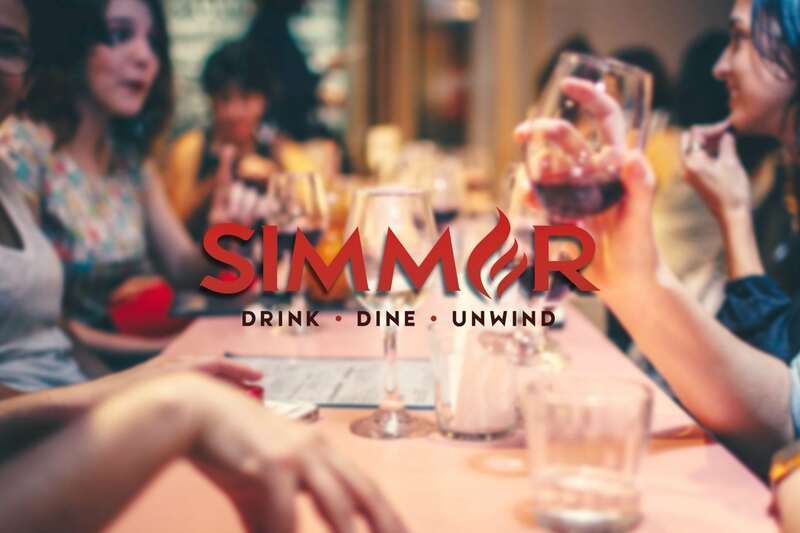 Whether you are looking for an upscale décor restaurant for a date night, a casual vibe for a business lunch, or a laid-back ambiance for a fun night out with friends, Simmer is the choice in West FOCO.